At a cost of nearly $200 million, the Riverside Regional Water Quality Control Plant Phase 1 Expansion is the largest public works project the city has ever completed. In Southern California, projects to increase the efficiency of water and wastewater systems are imperative in order to deal with ongoing challenges like drought and population increase. These projects require precise teamwork, coordination and execution to meet budgets and deadlines. 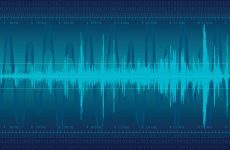 On the resource recovery side, increasingly stringent environmental regulations in California are causing many treatment plants to upgrade in capacity and enhance overall modernization. 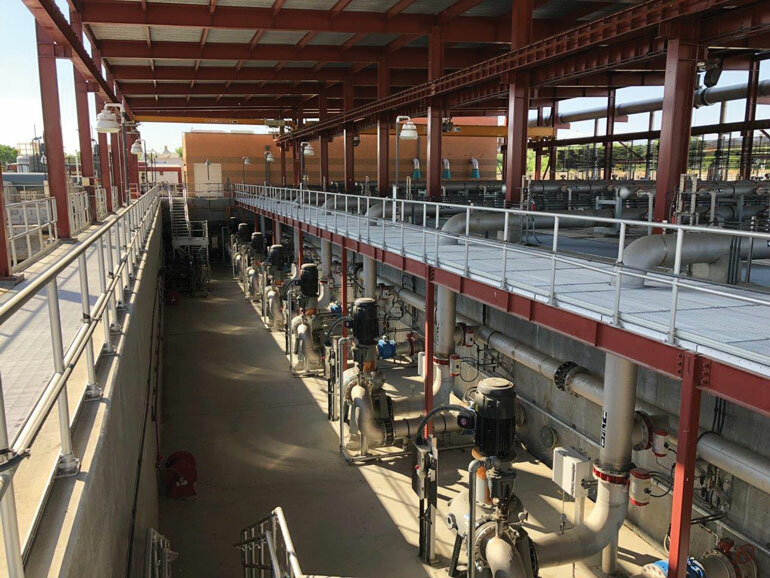 The City of Riverside, located roughly 50 miles east of downtown Los Angeles, recently completed a significant project to expand and retrofit its Regional Water Quality Control Plant (RWQCP) to meet the needs of future generations. The plant expansion introduced several new technologies designed to produce high quality effluent, increase the plant’s efficiency and improve the environmental impact. In Riverside, permits are issued every five years by the California State Water Resources Control Board. According to Craig Justice, deputy public works director for wastewater for the City of Riverside, permit cycles and expectations for water quality coming from the plant have increased significantly in the past 15 years. Prior to the expansion, the RWQCP consisted of two separate treatment plants and one common tertiary filtration plant that provided preliminary, primary, secondary and tertiary treatment for a rated capacity of 40 million gallons per day (MGD). Effluent from the plant is discharged into the Santa Ana River, a freshwater river also used for groundwater recharge downstream of the plant and a hot spot for recreation. 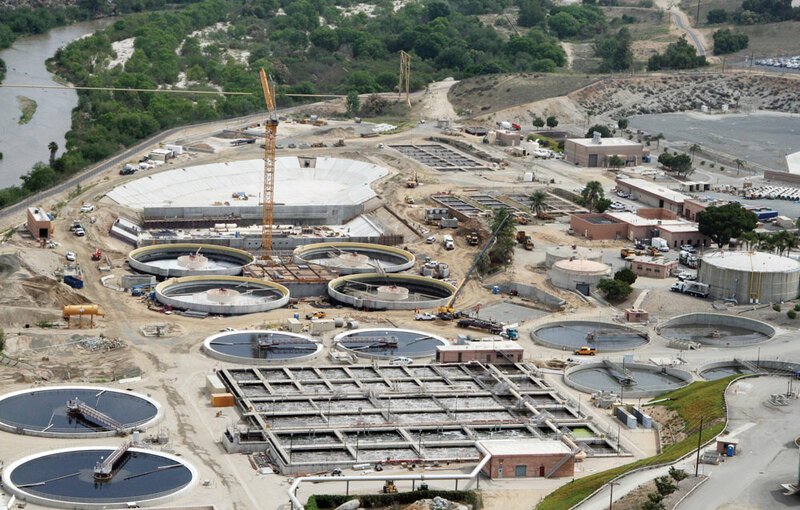 Historically, the City of Riverside has been proactive in its wastewater master planning. In 2008, the city hired Carollo Engineers to develop a master plan to assess infrastructure needs. The comprehensive master plan included upgrades to the collection system and the plant. Here, we’ll focus on the latter. The master plan resulted in the Riverside Regional Water Quality Control Plant Phase 1 Rehabilitation and Expansion project to maintain regulatory compliance, ensure public health and to modernize the facility. The 2008 plan included a five-year rate structure that was approved in 2014 to help fund the upgrades. The project was also funded by revenue bonds. The Riverside Regional Water Quality Control Plant was first built in the 1940s and had undergone several construction projects and updates in the decades following, but nothing at this magnitude. It’s also the only wastewater treatment plant the city operates. One notable piece of technology Justice refers to is the incorporation of a new Membrane Bioreactor (MBR) system. The MBR provides reliable and high-quality reusable water while minimizing the modifications needed to existing infrastructure. It also works on a smaller footprint than conventional treatment and helps to conserve space and save on construction costs. The city selected the LEAP MBR system from Suez that offers several advantages over older MBR technologies. The LEAP MBR increases plant productivity, reduces the energy cost associated with air scouring and works on a smaller footprint to help conserve space and save on construction costs. The RWQCP Phase 1 Expansion included work in 29 different areas of an existing 70-year old active wastewater treatment plant. The work included structures that were new, expanded, rehabilitated and modified for new purposes. Construction consisted of concrete tanks, block buildings, steel superstructures, heavy mechanical and electrical systems, controls and communication networks. The centerpiece of the project was the three-stage conversion of existing rectangular secondary clarifiers to a 26-MGD membrane bioreactor facility. At the time of completion last year, the MBR facility was the 3rd largest in North America and 13th largest in the world, according to Carollo. As part of the treatment process, the RWQCP also operates several digesters that produce biogas from which energy is produced to operate the plant. As part of the plant expansion, new and existing digesters were equipped with linear motion mixers. Unlike other mixing systems, the new mixers produce uniform mixing due to the combined effect of oscillating velocity coupled with pressure waves. This motion is created by the controlled up and down movement of a specially shaped Hydro-Disk. 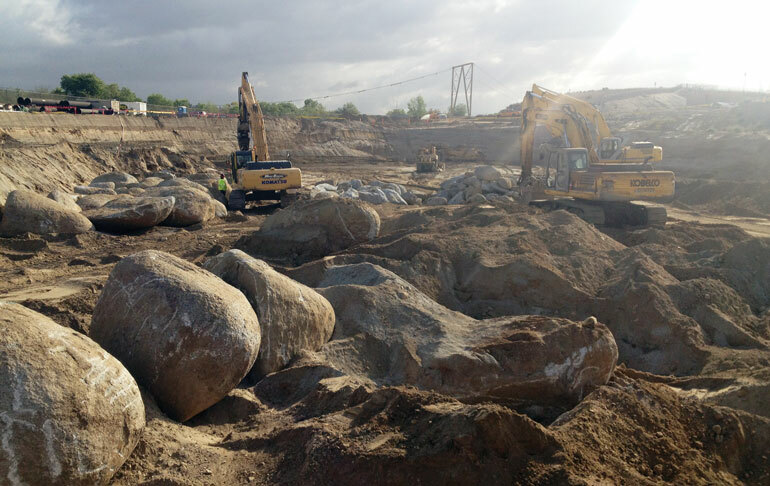 Excavation for the new 10-million-gallon equalization basin revealed significant underground rock formations not previously identified in the geotechnical report. In 2005, the city began a project referred to as the Grease to Gas to Power project. Local grease haulers that pick up fats, oils and grease (FOG) were able to take FOG to the RWQCP for processing and injection into the plant’s anaerobic digesters. By adding FOG to the anaerobic digestion process, the RWQCP was able to increase bio-gas production. The RWQCP expansion included expanding and improving that process through the construction of the new Organics Receiving Station that can take FOG and other food wastes. The new station can process up to 30,000 gallons of organic material each day and enhances biogas production in anaerobic digesters. Biogas is then converted to electricity using a new Fuel Cell Energy system and utilized by the plant boilers to heat the digesters. The new Fuel Cell system is currently producing one-quarter of the plant’s electrical demand. By offering organic haulers a safe way to dispose of restaurant grease and food waste, this component of the plant expansion has had a positive impact on the environment and provides a beneficial use for wastes and diverts them from traditional landfill disposal. In addition, a new 10-million-gallon primary effluent equalization basin including a new primary effluent pump station was also built. This allowed the RWQCP to design and operate the MBR and other systems closer to steady state conditions, which decreased the facility sizes and capital costs. Construction consisted of concrete tanks, block buildings, steel superstructures, heavy mechanical and electrical systems, controls and communication networks. The complexity of managing a project in an aging and active plant required all parties to collectively attack issues and resolve them in a timely manner to keep the work moving and the plant in compliance. The City of Riverside Public Works Department hired Carollo to be the third-party construction manager (CM) for the construction phase of the project. Carollo worked directly with the contractor and plant operations staff daily to facilitate the project and was responsible for being the hub of communications. All correspondence and communication between the city and contractor went through Carollo to maintain contractual requirements. For the project, CH2M also served as part of the construction management team, while CDM Smith and Black and Veatch served as design engineers; PCL Construction served as the builder. One key aspect to Carollo’s management approach was staffing the project with an experienced team (from both Carollo and CH2M) that included staff with a solid understanding of wastewater construction. The field staff reviewed points of emphasis related to the current work on a weekly basis and shared insights and lessons learned. Each inspector had assigned areas of responsibility and a designated backup when unavailable. Preconstruction meetings were held prior to starting new work to make sure everyone understood the requirements of the contract and any items unique to that work. As challenges presented themselves, Carollo worked with the city and contractor to develop practical solutions. Construction included a three-stage conversion of existing rectangular secondary clarifiers to a 26-MGD Membrane Bioreactor (MBR) facility. The project also used electronic document management software and all official project documents were filed in that system and available at any time, depending on access assigned by the owner. The ability to access the latest information and search functionality of documents further assisted the construction management team in maintaining quality. “We worked really hard to protect the owners’ interest on this project,” says Steve Earp, construction manager with Carollo Engineers who led the CM team on the project. “We tried to keep the project moving and keep all parties talking. To keep this plant operating without interruptions was a key part of the construction. That’s why it required constant interface with operational staff to make sure all their needs were met. The project team stresses the significance of completing the project while the plant remained in operation. With the plant having been built more than 70 years ago, roughly 40 other projects had been completed in the intervening years, according to the city. The project team had drawings for most of the earlier projects, but it was a challenge to determine which set of drawings was applicable, as much of the earlier work had been modified by later projects. 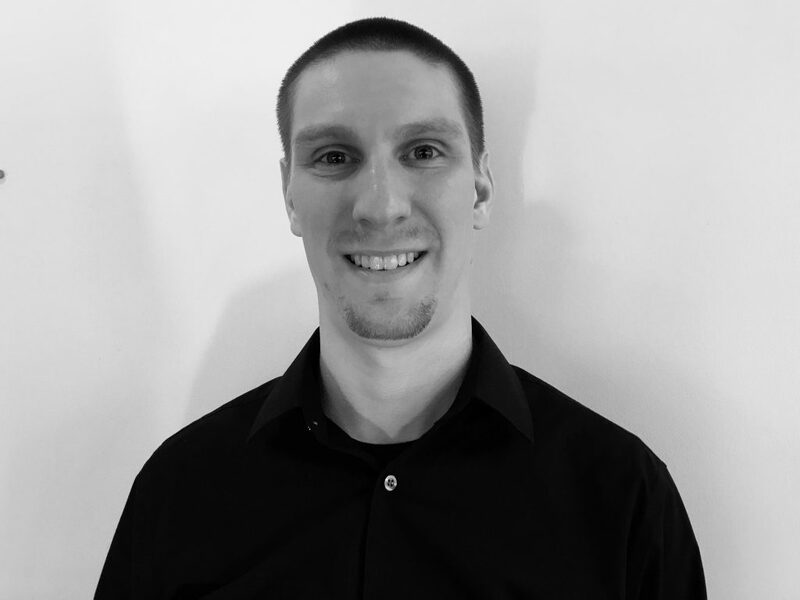 Brian Wilson, commissioning and startup manager with Carollo Engineers, says the task of running a construction project at an operational plant presented unique working conditions. The addition of the new membrane bioreactor technology provides reliable and high-quality reusable water. Construction minimized the modifications needed to existing infrastructure. According to the City of Riverside, at nearly $200 million, this is the largest public works project the city has ever completed. Construction finished in September 2017, under budget, with no unresolved claims and an overall change order rate under 5 percent. Overall plant capacity was increased from 40 to 46 MGD and the RWQCP expansion provided a number of key systems to help the city progress with its five-year plan to be energy independent. Andrew Farr is the associate editor of Water Finance & Management. He has covered the water sector in North America for six years and also covers the North American trenchless construction industry for sister publications Trenchless Technology and NASTT’s Trenchless Today.